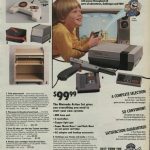 Released 1983 (Japan): The Nintendo Entertainment System (or NES for short) is an 8-bit home video game console developed and manufactured by Nintendo. It is a remodeled export version of the company’s Family Computer (FC) platform in Japan, also known as the Famicom for short, which launched on July 15, 1983. 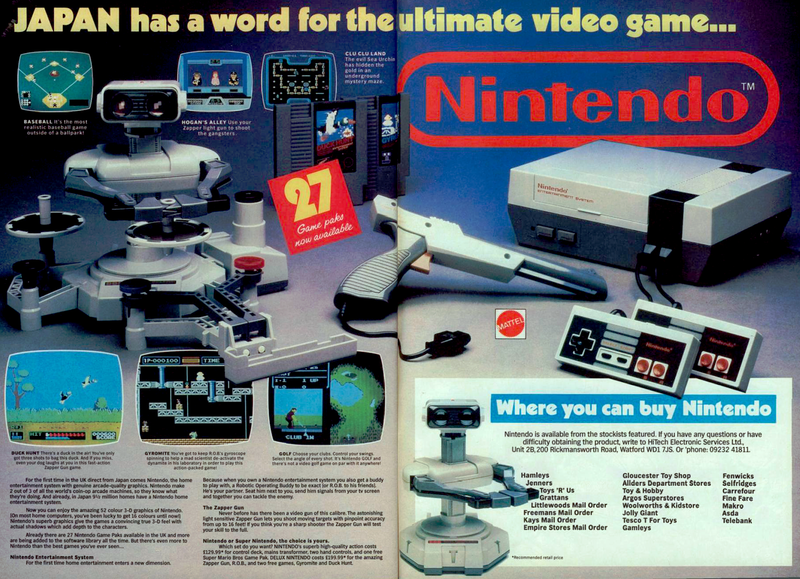 The NES was launched through test markets in New York City and Los Angeles in 1985, before being given a wide release in the rest of North America and parts of Europe in 1986, followed by Australia and other European countries in 1987. Brazil saw only unlicensed clones until the official local release in 1993. In South Korea, it was packaged as the Hyundai Comboy and distributed by SK Hynix which then was known as Hyundai Electronics; the Comboy was released in 1989. 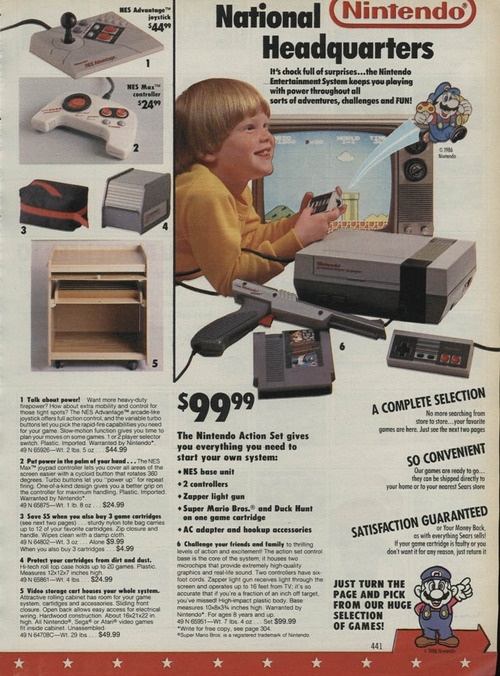 The best-selling gaming console of its time, the NES helped revitalize the US video game industry following the North American video game crash of 1983. 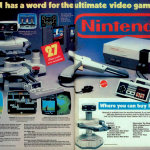 With the NES, Nintendo introduced a now-standard business model of licensing third-party developers, authorizing them to produce and distribute titles for Nintendo’s platform.